In Hindi, the word “Yuvraj” stands for “prince” or “crown prince”. Yuvraj Singh is no less than a Prince of Cricket. 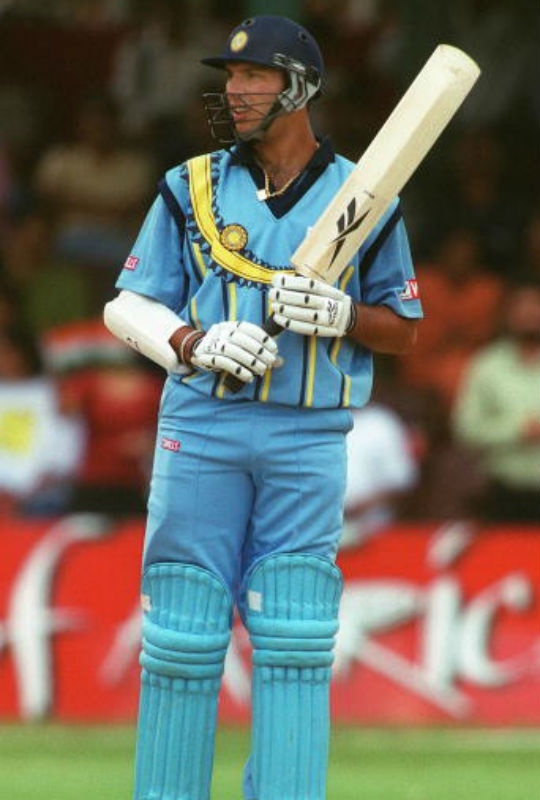 I was in the class X, when I saw him bat for the very first time. It was in the ICC Mini World-Cup, now known as -ICC Champions Trophy. The match was against Australia, At the time Australia was the best team in cricketing world. We all remember, how Australian dominated the international cricket afterwards. It was not just a tough team, they had their reputation of playing the mind games, getting in to a verbal altercations with the opposition batsman and disintegrating the opposition by all possible means. Before this match, I had seen Sourav Ganguly who was a brilliant batsman but struggled against the short balls targeted towards the body. India had seen some of the greats right hand batsmen but we haven’t seen a lefthander who could dominate the opposition the way Yuvraj did. High back lift, quick on the feet and enormous talent of timing the cricketing ball were few ingredients you could notice when he started batting. The elegance with which he crafted his strokes all around the ground were breath taking. You had to literally pinch yourself to prove that it was for real. The young boy was 19 years old, but had a brave heart. You could immediately see the fire in his eyes and a distinction to accept challenges. Indian Cricket was on the rise, Even though we had seen disappointing performances from Team India. This was an inning which sent a strong message out to the Cricketing Communities around the globe to watch out for Team India. Team India will become a force to reckon with. At the time, AUS had best fast bowling attack which included the likes of McGrath, B Lee, Gillespie and Harvey. Yuvraj Singh scored 84 runs in 80 balls. He scored a dozen of boundaries, which were hit towards the cover, the backward point, deep mid wicket and some of the gorgeous on drives. It was enlightening to see a 19 year old butchering the worlds best pace attack. In the past we have seen Sachin playing shots like these, But Yuvraj playing it against AUS was a bewildering innings. That inning challenged the basic belief of Indian Batting legend, to not hit a ball in the air, you cannot score runs on every ball and you have to respect the bowler if he is bowling a great spell. It was as if I could hear the Akashwaani (celestial announcement from sky) stating if you are on top of your game; it doesn’t matter who is bowling, how well he is bowling. It’s just a matter of backing your self up and be fearless about the consequences. It’s just a game and one team will loose at the end of the day, so you should not have any regrets about not trying a certain shot or not attempting a yorker or a bouncer. After starting his career, Yuvraj was dropped after playing few matches for India. India had more rising stars in the domestic cricket including Hemang Badani, Dinesh Mongia, Mohd Kaif. Yuvraj struggled to find his place in the Team India. Then came the turning point of Yuvraj Singh, career NatWest Serise. It was 13th July 2002, when England batting first posted a daunting total of 325/5. India started scoring brilliantly during during the field restriction but then a heap of wickets fell. In 24 over India was struggling at 144\5 and Yuvraj Singh and Mohd Kaif walked in to the middle. By this time around 80% of Indian supporters who were watching the match had given up of any hope to win this match. Even Mohd. Kaif’s family also went to theater to watch “Devdas” which was a big Bollywood movie starring Sharkuh Khan as they feared India is going to loose this match. 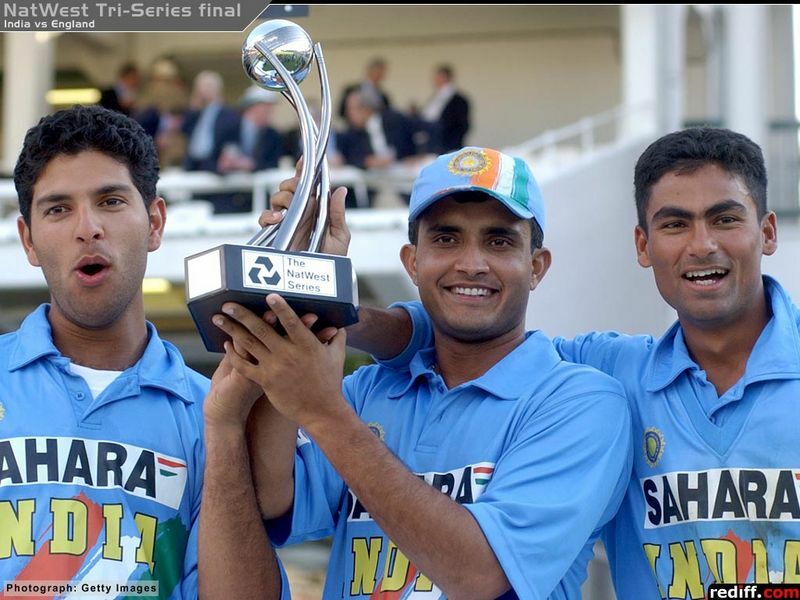 NatWest Trophy 2002, Yuvraj and Kaif helped India win the trophy.